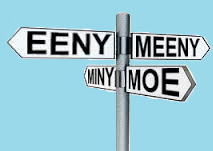 Eeny, Meeny, Miny, Moe, To what ITSM Conference should I go? Are these lesser known events looking for volunteers or attendees and are not hitting the target audiences? Would a conference repository help them to promote to those that might not attend otherwise. Remember it’s not always about ITSM specifically. It could apply to Governance, Risk, BRM, Cyber Resilience, Training or even other activities which are driven by IT which impact your business goals.